It is very important that your players see the floor as there will be three different options happening at once. Your best shooter should start with the ball at the top of the key. If you have post players who can shoot well from the outside, this play will use them as a decoy to open up the key on the pick and roll. 2 steps out and recieves pass from 1. 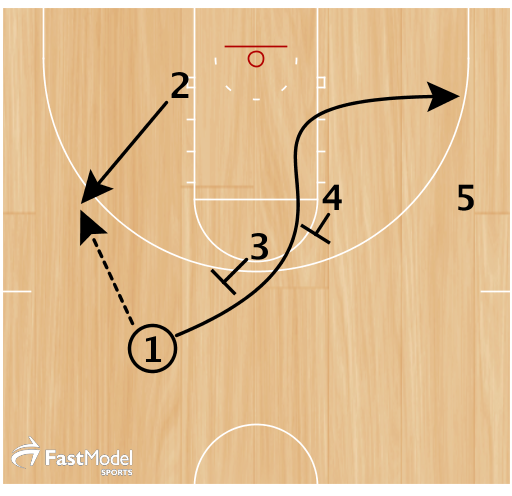 After setting screen, 4 sets back pick for 3 and cuts to 2 for pick and roll. 3 should look for a fade pass here.